US Open Series: Atlanta is the first event in the tournament series leading up the US Open. 2019 will be the 16th year of the series. The sanction for the BB&T Atlanta Open was originally purchased by USTA Southern and the USTA from the ATP World Tour on December 17, 2009. The 250-point tournament had been played in Indianapolis beginning in 1921. After a successful completion of the BB&T Atlanta Open in August 2015, GF Sports, LLC, a newly formed integrated event content company, formed by the New York-based financial management company GF Capital Private Equity Fund, and its founder Gary Fuhrman, along with long time sports executive, Jerry Solomon and his Lynnfield-based company, StarGames, acquired the tournament. 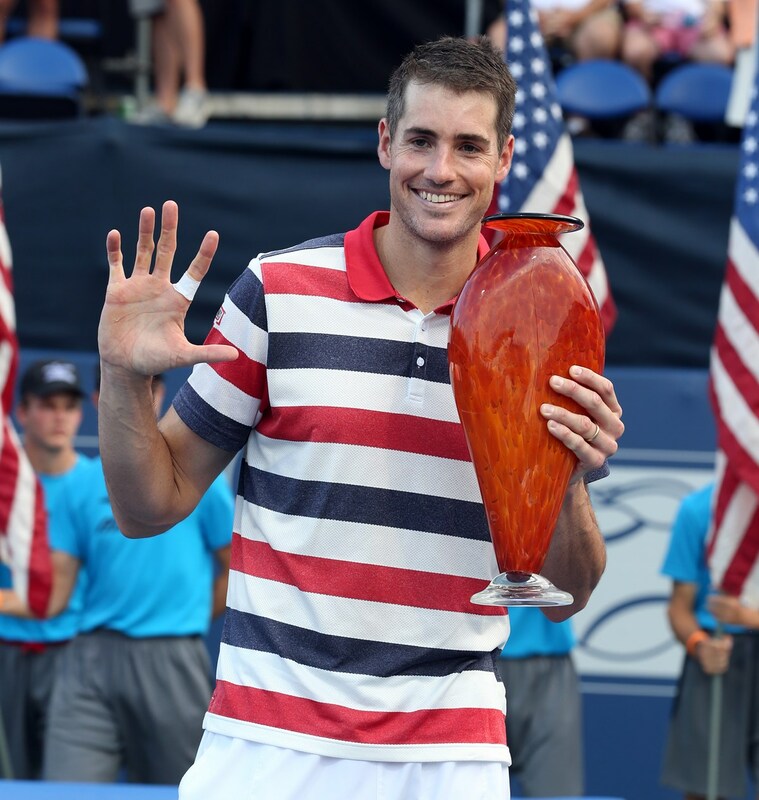 Former University of Georgia great and Atlanta fan favorite, John Isner, picked up right where he left off in 2017 as he defended and claimed his fifth BB&T Atlanta Open title with a 5-7, 6-3, 6-4 win over Ryan Harrison. In this repeat of the 2017 singles final, Isner found himself down and feeling fatigued until he found a second wind and some shade hit the court in sets two and three. Isner admitted it was one or two points in the second set that swayed the match. Isner now joins Jimmy Connors, John McEnroe, Andre Agassi and Pete Sampras as the only Americans to win an ATP Tour event five or more times. In the doubles final, the team of Nicholas Monroe and John-Patrick Smith claimed their first ATP World Tour doubles title with a 3-6, 7-6(5), 10-8 comeback victory over Harrison and Rajeev Ram. The singles and doubles finals capped off a week of exciting tennis. The week also included sponsor activations, clinics with players and Coach Wayne Bryan, interviews and autograph sessions with players, and great food and drink at Atlantic Station in Midtown Atlanta. Three-time BB&T Atlanta Open champ, John Isner, may have entered Atlanta and the 2017 event as the second seed, but for most watching during the week of record-breaking crowds, the former University of Georgia star began the week as the odds on favorite to take the title. During a busy week, Isner eliminated Vasek Pospisil, Lukas Lacko and Gilles Muller with relative ease en route to the final. He needed two tiebreakers on Championship Sunday to defeat friend and fellow American, Ryan Harrison, 7-6(6), 7-6(7). It was a great week in Atlanta for Harrison, as he upended Georgia Tech's Christopher Eubanks, then overcame Kyle Edmund, who upset No. 1 seed Jack Sock in three sets, to earn the finals appearance with Isner. 2017 marked the third all-American Atlanta Open final since its 2010 inception (2010, 2011). Isner has won all three. Atlantans love their doubles and they love the Bryan Brothers. The twins took the 2017 doubles title with a 6-3, 6-4 win over Wesley Koolhof and Artem Sitak. The Bryans required a single break in each set to prevail in just 54 minutes. The victory gives them a staggering 114 ATP World Tour titles as a team and their second title in Atlanta (2015, 2017). The tandem of Koolhof/Sitak were playing together as a team for just the second time. For the first time in the tournament’s seven-year history, a non-American took home the BB&T Atlanta Open singles title as Aussie Nick Kyrgios dethroned three-time defending champ John Isner, 7-6(3), 7-6(4). Isner entered Atlanta with a 15-match winning streak on the line, with victories over Adrian Mannarino, Taylor Fritz and surprise semifinalist, Reilly Opelka. The former Georgia Bulldog was also playing his sixth Atlanta final to Kyrgios’ first. In his inaugural Atlanta appearance, the 21-year old began his run for a second career ATP career title, by taking out fellow ATP #NextGen star Jared Donaldson 7-6(4), 6-3 in his opening round match. In the quarterfinals awaited Spaniard Fernando Verdasco, who was also making his first Atlanta visit. Verdasco pushed the 2015 Australian Open quarterfinalist to the brink of defeat, but not before Kyrgios regrouped and took the match in three sets, 6-4, 6-7(5), 6-3. Kyrgios faced another #NextGen star on the rise in his semifinal match, Yoshihito Nishioka of Japan. The 20-year old baseliner scored convincing wins over ATP vets Horacio Zeballos and Alexandr Dolgopolov before falling to the eventual champ, 3-6, 6-3, 3-6. The week wrapped up with Argentinians Andres Molteni and Horacio Zeballos capturing the 2016 doubles title, defeating Johan Brunstrom and Andreas Siljestrom of Sweden, 7-6(2), 6-4. In their first tournament together as a team, Molteni and Zaballos only dropped one set en route to the final, narrowly escaping defeat to the Indian duo of Purav Raja and Divij Sharan in the semifinals, 7-6(6), 4-6, 10-7. The Argentine tandem managed to dodge raindrops on a stormy Sunday to prevail after one hour and 33 minutes. Molteni clinched his first ATP World Tour title in his second doubles final, while Zeballos claimed his fifth career doubles crown and first on hard courts. Click here for a complete history of BB&T Atlanta Open competition. Now in its 16th season, the world's best players on the WTA and ATP World Tour are coming together for the US Open Series. Linking seven summer WTA and ATP World Tour tournaments to the US Open, the US Open Series serves as a true regular season of hard court tennis. Featuring a cohesive schedule, the Series centralizes the way tennis is viewed in North America, across multiple television and digital platforms. Fans will see today's top champions go head-to-head with tomorrow's emerging stars, as storylines develop throughout the summer season. Each tournament also engages its local community with a variety of outreach initiatives, including grassroots youth tennis clinics and activities. ALL SALES ARE FINAL. NO CANCELLATION WILL BE PERMITTED AND NO REFUNDS WILL BE OFFERED. THIS TICKET IS A PERSONAL LICENSE AND MAY BE REVOKED AT ANY TIME FOR ANY REASON. SCHEDULE IS SUBJECT TO CHANGE WITHOUT NOTICE. Risk of loss or theft of tickets shall pass to the purchaser; management will not be obligated to admit purchaser unless a ticket is presented. Management reserves the right, without the refund of the ticket purchase price, to refuse admission to or eject any person whose conduct is deemed by management to be disorderly, unsafe or a threat to others in any way. The holder of this ticket assumes all risks and danger of personal injury and all other hazards arising from or related in any way to the tournament for which this ticket is issued, whether occurring prior to, during or after the tournament. By presenting a ticket for admission to the BB&T Atlanta Open, you hereby consent to (i) the reasonable search of your person and belongings for prohibited items; (ii) the use of your image or likeness incidental to any live or recorded video program, photograph or other transmission or reproduction of the tournament for any and all purposes; and (iii) the prohibition against transmitting or aiding another in the transmission of any description, account photograph or reproduction of any aspect of the tournament. If session is canceled after one match on Stadium Court is completed, no exchanges or refunds will be made. The BB&T Atlanta Open cannot guarantee ticket availability, exchange of equal value or comparable seat location. All ticket exchanges are final, and there will be NO REFUNDS OR CREDITS. In addition, patrons are advised that the BB&T Atlanta Open schedule of play is subject to change for all sessions. Tickets are not eligible for refund or exchange due to one or more changes in the BB&T Atlanta Open schedule of play. Flags, banners, or signs, laser pointing devices, tennis racquets, bicycles, scooters of any type, in-line skates, roller skates, skateboards, and any other items deemed unlawful or dangerous by the management of the BB&T Atlanta Open, in its sole discretion. The resale or attempted resale of this ticket in or on the grounds at any price is prohibited and will result in removal from the premises and confiscation of all tickets in the possession of the violator without refund or compensation. The use or attempted use of lost, stolen or counterfeit tickets is prohibited and such tickets are void. 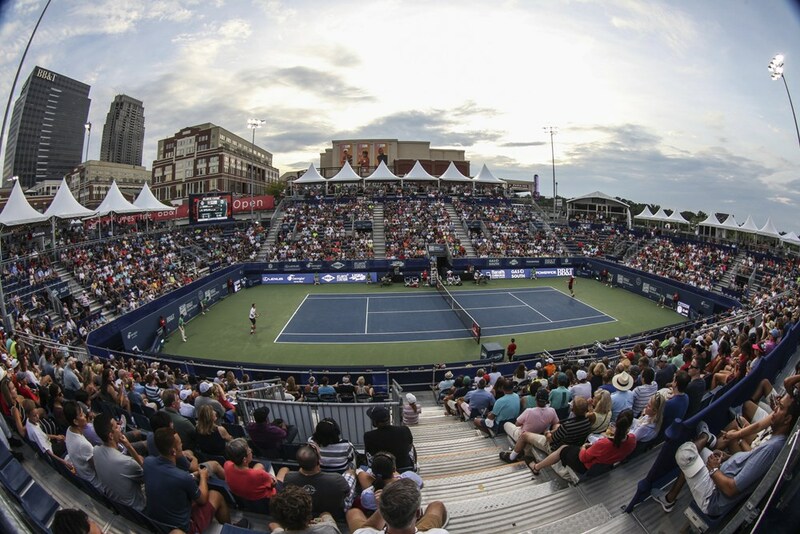 Tickets may not be resold or used for advertising, promotions (including contests or sweepstakes) or other trade purposes without the prior express written consent of the BB&T Atlanta Open. Breach of any of the foregoing conditions will automatically terminate the license granted by this ticket, and shall constitute grounds for denial of admission, removal from the grounds, and confiscation of all tickets in the possession of the violator without refund or compensation. Tickets may be left for pick-up by another person at the Will Call window located at the Tournament Box office. Person picking up tickets must present photo ID or tickets will not be released. Click here for information on parking. Call (404) 249-9138 and request Chris Goodson or e-mail bbtatlantaopen@lanierparking.com.